Neverending fun is guaranteed with our Avoid Games! The best avoid free games are waiting for you at Miniplay, so 3... 2... 1... play! Now you can enjoy Geometry Dash online - no downloads necessary! 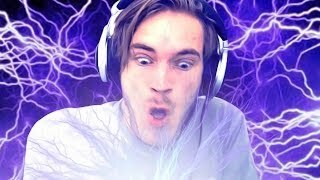 Get ready for an impossible challenge! Put your skills to test and dodge all kinds of obstacles and traps. How far will you get before dying? In slither.io, you have a fighting chance even if you're tiny! If you're a nimble navigator, you can swerve in front of a much larger player to defeat them - no matter what size you are! Play against other people online! Can you become the longest player? Watch out - if your head touches another player, you will explode and then it's game over. But if you get others to run into YOU, then THEY will explode and you can eat their remains! In this mix of Pac-Man and Xonix you'll have to cut out 80% of the game screen without being touched by the ghosts. Join the arena and fight players from all over the world! Help your character survive and evolve completing challenging battles. Upgrade your skills, crush and obliterate your rivals, gather hundreds of treasures... How many enemies can you beat, how much bigger can you get?! Upgrade your tank and fight players from all over the world! Dodge their bullets and try to get bigger and bigger. 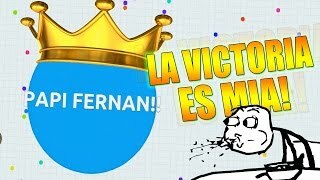 Become the biggest tank on the screen - Agar.io-style! Enjoy this super fun arcade game -- it's Kim Jong-un jumping the rope! Click in the right time to jump and avoid the rope. Buildings will fall, but that's ok! Just don't make him trip! Discover this online multiplayer where you must try to grow as big as possible. Eat cookies, fight other users and get stronger! Run away from the cops and don't forget to collect the gems around! Exchange them for new vehicles so that you can run away faster! Enjoy this version of a mobile hit, "Cars vs Cops". Run away from the police cars -- collect money on the road, switch rides and stay safe! You'll really need to put your skills to test behind the wheel! Can you defeat every spinner on the game screen? Move around collecting all sorts of gems to grow bigger and more powerful, attack your rivals and use the magnets to increase your score. Run away from bigger spinners and climb the rankings! Enjoy this classic game similar to Jetpack Joyride -- control a gorilla along a path packed with traps and coins. Try to reach as far as you can and break the record! Discover this survival game in maps packed with players from all over the world... With a spear in their hands! Collect rainbow dots in order to become bigger and more powerful so that you can face them and win! Do you have the skills to become a succesful lumber jack? test your wood cutting skills in this fast reflex game. Everyone wants to be a millionaire, but how far would you go to get all of that cash? In this game show game, your goal is to face your fears and grab the cash through a guillotine. This game has 15 levels with a gradually increasing degree of complexity, and the game is ideally suited for mobile devices. Enjoy this game based on the namesake movie. A dangerous monster similar to an underground worm is wreaking havoc around the city. Gather your courage and look for survivors while trying to stay alive yourself! 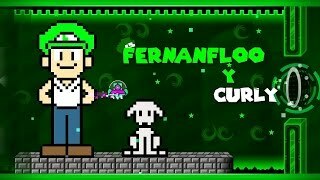 Enjoy this new game based on Slither.io! Try to make a snake as big as you can in order to take over this rainbow worm world. Avoid your bigger rivals and keep an eye on the dots! Flip the Gun is gun simulator game with realistic physic. Shoot on right direction in order to flip the gun and survive on blast valley. How good a shooter are you? Flip the gun and go up as much as you can on blast valley. Have nice play flip the gun simulator. Enjoy this new battle royale mode of a classic! Up to 50 players can join and start hunting one another. Discover the game everybody's talking about, Agar.io! If you never enjoyed the arcade version of Pang, try this browser one! Control one of the Buster brothers and use your weapon to make the bubbles disappear. They will start dividing into smaller bubbles until your shots actually pop them! Don't let them reach the bottom of the screen! Both single-player and two-player modes are available, you just need to choose the assigned keyboard keys from the menu. Enjoy this new multiplayer game, a battle-royale version of Agar.io! Control a small cell and move around the map trying to attack other players. Avoid those who are bigger than you and divide whenever you wanna go faster! Move the heart around the game screen and avoid being attacked by the deadly arrows the boss shoots. For how long can you prevent the bleeding? Avoid all of the walls as you fly through the tunnel in space. Quickly move back and forth as you try to catch stars and avoid the obstacles. The higher your score the faster you will start to fly, so keep an eye out! Collect all of the stars to earn combo bonus points as you attempt to top the leaderboards. Crossy Road has been a hit both on Appstore and Google Play. This version, Crossy Road can be played online without having to download any files. Lead the animals along a series of dangerous train tracks, crowded roads and rivers. Dodge the obstacles and try to jump on the tree logs. Are you ready to complete this adventure in the style of Frogger? Step on the gas and run away from the police in your powerful car! Speed up, collect bills, fix your ride when needed and make your enemies crash into one another! Enjoy this amazing battle royale multiplayer! Join a game, wait for 6 other users and let the fun begin! Face all sorts of enemies in this pixel world! Collect coins, health packs, new weapons... Will you be the last one standing? Help our crazy gran run away from the Brazilian asylum where she's trapped! Dodge obstacles, jump around the colorful streets and collect coins, but don't get caught! The endless war between cats and mouses continues in this online multiplayer! Choose your side and fight to defeat your rivals. Collect food to increase your numbers -- kibble or cheese -- and become stronger! Show them who's boss!! Can you reach the exit door in just 3 seconds? Move as fast as you can, collect clocks that increase your time limit and avoid your enemies! Welcome to Wire.io!! Fight other 7 users in a battle to the death. Each player has a unique color, and you have to take over the map collecting crystals. Beware of your enemies and enjoy! Enjoy this amazing runner and its 3D graphics! Run over train and even water tracks! Surf, run, control a motorboat, fly or glide on a hoverboard while collecting diamonds and dodging the trains! Jump through space tunnels full of obstacles and traps! You will be able to walk on the ceiling and the walls so that you can dodge the dangers in your way. Good luck! Enjoy this new version of Geometry Dash! Tackle the obstacles and spikes in your way and clear every stage putting your skills to test! Enjoy this action-packed racing game where you'll control a little round guy running along an endless aisle. Dodge the obstacles in your way and collect yellow cubes in order to increase your score. In this super-hard puzzle game, you must try to move the red cube around the game screen while dodging dozens of moving obstacles. Can you reach the goal? Enjoy this sequel! Are you a pro driver? Complete the stages by parking on the right lots, avoid crashing into other vehicles and have fun! Enjoy this thrilling action game based on... 'Flappy Bird'! Try to get rid of the blocks in your way by shooting at them and stay safe! How far will you get? Neon Dunk is an epic and challenging arcade game in which you must shoot a basketball through a series of neon hoops. This might sound easy but it is really difficult and you must work really hard to direct your basketball and prevent it from hitting the spikes at the top and bottom of the screen. Control a small spaceship amongst planets and stars and stay safe from the obstacles! 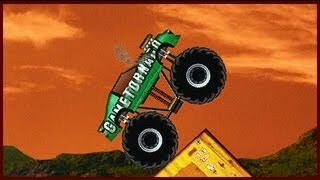 Outer space is dangerous, so be up for the challenge, watch your fuel and have fun! Avoid these meteorites as long as possible and make your new personal records. Flip this rainbow cube and make it match the moving walls! They can only break if the colors are the same. Put your accuracy to test and get as far as you can! Enjoy this online version of Jetpack Joyride! Help the main character gather coins, dodge the obstacles in the way and purchase all sorts of upgrades. A thrilling adventure awaits! Here's a cute bunny rabbit running about in an endless tunnel. Save her from those pointy spikes, will you? Discover this unique game -- try to survive and make your creature evolve! Start with a simple mosquito and try to become a huge bird. Eat as much as you can and keep evolving! Dodge the ghosts in this unique multiplayer game! Gather the coins and shields around and get rid of the ghosts in order to climb the rankings! Go through the tunnel at max speed while you dodge the obstacles. Enjoy this thrilling game that matches adventure and Arkanoid elements. Control a brave samurai who plans on defeating the evil caterpillar that took over our planet. Launch the ball and make it ricochet until this evil two-faced monster is defeated! As you may know, ninjas had extremely demanding training procedures that decided whether or not they were fit to become one. All their skills were gradually tested -- both physical and mental -- specially the ability to work under external pressure. Ninjas usually face incredible situations where a normal person would die instantly, and must be ready at all times. Clear every stage, put your skills to test and become one of them! 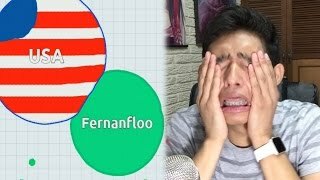 Enjoy this clean version of Agar.io! In this hooking multiplayer game you'll have to do your best to grow bigger and bigger and take over the map. Focus on the smaller cells and dodge the bigger ones! Will you climb the rankings? 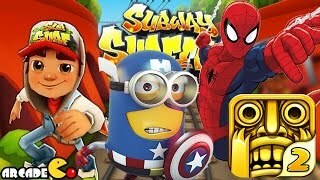 Enjoy this thrilling BMX game with dozens of superheroes for you to choose! Unlock Spider-Man, Ant Man, Hulk and many others while moving around amazing tracks in outer space. Keep your balance! Control this small aircraft and move around all sorts of stages collecting the rings without crashing into the hills. Good luck! 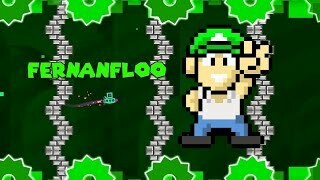 Enjoy yourself with this crazy 8-bit game! Defeat the only and final boss by collecting shiny tiles without depleting your health. Move around the game screen and try to survive! Enjoy this download-free online version of Geometry Dash! Are you ready for an impossible challenge? Put your skills to test, jump, avoid the obstacles and survive! Enjoy this unique game where you must control a neon ball while dodging all sorts of obstacles. Beware of the fading platforms and stay alive for as long as you can! Enjoy this version of 'Snake vs Block'! Help a powerful dragon move across the game screen and collect rainbow dots in order to make it longer. Obliterate the bricks in your way, keep an eye on your health and have fun! Fly with a space ship at max speed through a tunnel dodging all obstacles. Travel as far as possible and enter into the best pilots ranking. Help the crazy granny run away from the nursing home where she's staying. Dodge obstacles and collect coins in order to unlock new outfits and enjoy your run around Mexico! Score baskets! Find a way to clear your area and collect as many stars as you can in as few throws as possible. Beware of the increasing difficulty! Join Shaggy and Scooby in this new adventure! Move around an old temple running away from a Zatari warrior. Collect sandwiches, dodge the traps in your way and survive! Enjoy this IO version of 'Trap Adventure 2'! Control a brave adventurer who enters a dark maze looking for treasures. Fight your enemies with a sword and collect all the gold coins! Have a wonderful time with your favorite TV characters in this amazing sports game. Ride a sleigh with the TMNT, play hockey with SpongeBob and have lots of fun! Join this skilled ninja in a crazy adventure where he'll need to do amazing jumps to reach the platforms. Collect coins and gems, avoid falling and get as far as you can! Click & run in this hectic multiplayer game based on 'Agar.io'! Eat as many rivals as possible in order to grow bigger and drink enough water to survive. Feed on smaller creatures and dodge the red players if you can! Help Goku chop down trees without being hit by their branches! Put your reflexes to test dodging obstacles in this unique version of Timberman. Drive a monster truck around the jungle and try to take your cargo to its destination without losing anything in your way! Help Spyro cross every cavern in search of gems and odge the obstacles in his way. Use the arrow keys to move and press the space bar to launch a fireball. Enjoy this new version! Help our friend escape from Death and stay in the world of the living. Run, tackle all kinds of obstacles, collect as many coins as you can and get as far as possible. This version of classic Paperboy is a bit harsher than the original. Ride your bike around town and deliver dynamite-loaded newspapers! Break as many windows as you can, collect coins and dodge the obstacles. Spend coins on bike upgrades. Get ready for some target practice in this wonderful game full of thrilling stages and challenges! Choose your weapon and enjoy! This is madness! Drive on the highway, climb to the roof of your car and jump on other vehicles as many times as you can to get a high score. 'Pipa' means 'kite' in Portuguese. Enjoy this thrilling battle! Move across the Brazilian sky and cut your enemies' ropes to be the last player standing. Good luck! Will you stand out amongst these 12 million users? Enjoy this third installment! Are you sick and tired of traffic jams? Drive on the highway and climb to your car's roof and jump to another vehicle. The more times you do it, the more points you'll get! Are you good at teamwork? Control two of the Ninja Turtles and help them rescue the hostages in each level. They have been locked inside hidden cages, so reach them but don't die trying! Collect bread and fruit in your way to restore some energy! Enjoy this sequel! In this first-person survival horror you will have to collect puzzle pieces as fast as you can in order to unlock new skills and stages. Collect the pieces of your soul before the monsters get you! Have fun! Are you looking for a challenging racing game? This is the perfect match for you! Do the most amazing jumps and all kinds of tricks in your powerful car - enjoy the wonderful 3D graphics! Look for the stars in each stage and do your best! The Rio Olympics are coming up! Train as hard as you can and face tough rivals in all kinds of disciplines -- tennis, basketball, soccer, archery, table tennis and shooting. Put your skills to test and reach the podium! Speed up and dodge the obstacles in your way in this frantic game! Move along a rainbow tunnel and put your skills to test! Take over as much territory as you can! It looks easy, since the controls are, but stay alert -- there are too many players and too little land! Be smarter than them and find a way to become a conqueror. Beware of your weak point, your tail -- if an enemy touches it, it's game over! Try out your multitasking skills with this simple game! Avoid all the squares on the road and collect every single circle. So start both of your cars and prepare for a long drive! Play dress up with these characters and get them ready for a crazy Halloween hoverboard race! Collect delicious pizza slices and avoid crashing into the obstacles! Help Ben 10 dodge all kinds of obstacles in his way and collect coins. Help him turn into aliens to defeat the villains that want to destroy planet Earth! Run, jump, slide, duck and make way in this frantic adventure. Are you fast enough to beat this game? In this .io fighting game, you can control a powerful warrior who must look for rainbow gems that increase his strength, size and score! Make sure to hit your enemies in the right moment before they hit you and climb the rankings. Upgrade your weapons and have fun! Flappy Bird, the game everybody's talking about, has been a blockbuster for the past weeks both on iOS and Android. Thousands of users have downloaded the bird game after hearing from it. Now you can enjoy this flash version – control a hateful birdie and tackle as many pipes as you can. What's your record score? Join the arena and face dozens of black holes in a thrilling battle! Feed on your enemies and expand to become increasingly powerful. Stay safe and show them who's the darkest of them all! Travel the depths of a gold mine in a wagon. Pick up every nugget you find, but beware of the barriers and tracks. Spend your gold on new skills. Amazing Cube Adventure is an interesting running game. You need to control the cube to run as long as you can. The road is full of thorns and obatacles. It requires you to react quickly to jump the obstacles. Run you cube right now and see how many leves you can complete. Have a wonderful time. Fish, catch, hunt and eat smaller animals in this thrilling multiplayer! Move around collecting food and running away from bigger fish -- discover the depths of the ocean and become its ruler! Enjoy this sequel and its hundreds of ways to die! If you wanna avoid a dreary end, avoid the traps and enemies. Put your reflexes to test and discover a thrilling adventure! In this Tetris-like strategy game you will need to eat smaller blocks in order to grow larger and more powerful. Move around the game screen avoiding the bigger blocks and enjoy this new version of 'Agar.io'! Help SpongeBob tackle all kinds of obstacles! Move around Bikini Bottom and try to survive. Protect yourself from jellyfish, jump on the platforms and manage to take Bob to the goal using his pants. Control a fatty bird that can't help but ricochet! Activate secret passages and collect the gems you need to unlock the door in each stage. Have fun! Purchase a powerful vehicle and get ready to cross a postapocalyptic city where waves of burning cars, rolling barrels and dangerous zombies are constantly on the move. Try to get as far as you can and get a high score! Control this submarine and plunge into the depths of the ocean. Dodge huge rocks, mines and icebergs and get as far as you can. Make the red ball collect stars, jump on chests and find treasures in order to unlock the next stages! Good luck! Feed on the whole map for your tail to grow longer! Face all sorts of snakes downtown but try to stay top of the rankings! Get ready for this crazy challenge! Test your skills jumping over obstacles and spiky traps with a neon character. How far will you go? Are you fed up with traffic jams? Drive on the highway and climb to the roof of your car to jump to another vehicle. Get the highest score! Protect your balloon with your shield while it is rising! Beware of obstacles. Move your shield with your finger to protect your balloon. Clear your path as you get higher and higher! Ride on a racing bike and get ready to overcome all kinds of obstacles while you perform aerial acrobatics. Collect coins and gasoline to get to the end. Good luck! Enjoy this classic where you must shoot the jumping bubbles as many times as you need in order to make them disappear. Don't touch them -- put your skills to test and survive for as long as possible! Enjoy this new adventure based on Undertale! Move around a strange stage full of dangerous creatures, interact with those around you and enjoy this creepy point-and-click adventure where your every step could be the last! Are you good at parking? Drive a bus and then try to park it on the right spot in each stage - try not to crash into the obstacles! Will you run out of time? Mario has been imprisoned in the dungeons and you must help him escape. Jump on the platforms and dodge the enemies that are trying to catch you again. After many requests, this game is here at last. Use your mouse to trap these little balls. Get ready to play one of the most popular MMO games! Based on cell phone game Snake and on the great motorbike races in Tron, this game is very unique. You have to get rid of your rivals by making them crash against the barrier you leave as a trail. Up to 6 users can play at the same time! Survive driving this mini car across a desk full of obstacles. Collect as many stars and power-ups as you can before running out of time. Beware of the other cars! Move around the grame screen and avoid your enemies' hammers! Collect the pieces scattered on your way in order to grow bigger and stronger -- show no mercy! Choose your favorite characters and enjoy 3 crazy sports! Join Bugs Bunny, Wile E. Coyote, Tom and Jerry, Taz, Silvester or Shaggy and Scooby Doo in this outdoor session! Jump with a hopping ball, score baskets and dodge obstacles in a boat race! Choose one of the three tribes -- Faya, Agwa or Plont. Each one of them has its own skills and weak points, so be careful and help your team survive. Collect gems and experience points in order to climb the rankings! What would the perfect mix of two viral games such as Flappy Bird and Agar.io look like? Well, here's your answer! Control the cell, make it grow and dodge the obstacles in your way. Try to unlock the achievements! Enjoy this thrilling game based on Give Up! Control this small guy and help him complete the stages. Dodge dozens of set and moving traps and try to survive. Put your skills and reflexes to test! Will you end up mad? TIP: shoot at the alarms with 'Save' on them in order to save your progress. Control a stickman, grab your weapon and make way using your skills to obliterate your enemies. Challenge rivals from all over he world and shoot them! The setting, an office, will help you release some stress - just imagine your rivals are your evil coworkers! This game looks a lot like Tron! Try to stay alive for as long as you can, drive your bike and trap your enemies with its trail. Both single-player and two-player modes are available. Unity 3D plugin required. Avoid obstacles unique game two jumps. Are you ready to take the control of two neon boxes and reach the best score possible? The obstacles appear to go far more fastest. Have a good time. This endless racing game will send you along the subway lines! Move around the game screen and avoid the security guards! Dodge the coming trains on your hoverboard and survive! Swim and slice your enemies in Narwhale.io! This frantic game will make you face dozens of dangerous narwhals around the open seas. Try to stay away from their horns!! Drive all these luxury cars on different tracks. Dodge the obstacles and pick up the treasures. Be careful these cars are really powerful! Enjoy this thrilling 3D multiplayer version of classic Bomberman! Fight rivals from all over the world -- arrange your bombs and make your enemies explode to get a high score! Discover this new .io game! Eat and grow bigger so that you can take over the worm world. Choose your favorite looks and move swiftly to avoid being eaten by another worm! Can you make it? Help these guys move the platform around and make fruit bounce to a safe place. Prove your reflexes, don't drop them and beware of the bombs! How many roads you can cross without hit a spike? 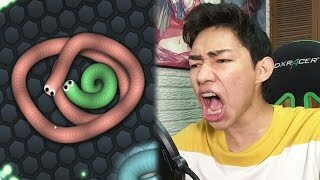 Try this new game if you enjoyed Slither.io! The world is much bigger and you have to complete all sorts of missions to make your snake evolve. Start the game as a little worm, feed on others and grow big enough to devour anything in your way! Watch your head -- if it touches another body, you will become fodder! Enjoy a thrilling 3D car sim game! Drive an old car as fast as you can and get your senses ready for this race. Have fun! Help the crazy old lady escape from her nursing home at Christmas. Dodge obstacles, jump, slide and collect all the coins you find on your way. Don't get caught! Take control of a missile in first person and fly it through a neon tunnel full of obstacles. Avoid, score and unlock new colors and obstacles. This is a colorful remake of a classic flash game called Missile Game 3D, props and recognition for the original game! 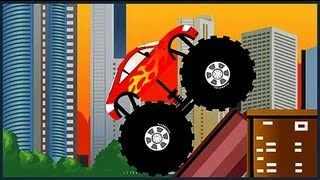 Drive a unique wooden car and tackle all kinds of obstacles on increasingly difficult tracks! Collect as many coins as you can and purchase upgrades for your vehicle. Very easy to learn, but hard to master. You control a blue dot and the goal is to gather all the white dots. But be careful, you need to avoid the red cubes! Your city has been invaded by zombies! Your only chances to survive are your car and the roads. Dodge obstacles and zombies you can run over them, but your car is no tank! Help this stickman complete the most dangerous and surreal track in the world. How far will you get? Beware of the traps! Explore an ancient cave full of treasures that an erupting volcano uncovered. Are you ready to face this challenge and explore the cave? Can you manage to survive? Good luck! Planet Explorer is a cool HTML5 game that's all about timing! You are on a mission to explore the universe. While you are orbiting around a planet, you need to time your jump to the next planet. If you time correctly you will continue your exploration, if you don't you get lost in space. Are you ready to explore? Move this little ball upwards and cross the right circles taking their color into account. The color of the ball will change, so try to get every star! Good luck! LEGO Ninjago is in your hands! Unleash the amazing power of the elemental weapons and defeat your enemies controlling Lloyd, Jay, Cole, Zane or Kai. Bring peace back and have fun! Explore the outer space and collect as many stars as you can - move across energy platforms and dodge the dangerous traps. Try to get as far as possible and beat your own high score in this crazy space race! This super grandma is trying to run away from the nursing home again! Use a cannon to launch her across the streets and as far as you can. Enjoy this new version of Handless Millionaire where you'll have to steal 10 million dollars from 7 banks around the world. Try not to lose your hand, or you'll have to customize your own prosthesis. Put your hand under the guillotine in order to get the money, but move it out of the way before it's too late! Put your reflexes to test! You'll start controlling a small fish, but eating smaller ones will help it grow until it can eat them all. You can stay on the Internet and play Chrome Dino at the same time now! This game, also known as T-Rex Chrome Offline Game or Dino Runner, will put your skills to test with pesky Pterodactils! Try this bumper cars game – up to 4 players can join a game! Push your rivals out of the battlefield and win. Have fun! If you enjoy real challenges, this is the game for you! Travel through a tube full of colorful fluorescent lights dodging the obstacles in your way. Try to survive for as long as you can. Are you ready for this? Jump with the ball carefully through each obstacle when the colors match with the ball. Be careful not to pass through the wrong color, or you’ll have to start again. Little Will is in trouble, has been stuck in the jaws of a terrible shark. Bouncing off the walls every time you can and do not let them get you. In this game you'll have to help Skips, the character from Regular Show, get as far as possible through a manor full of ghosts while dodging deadly traps and collecting gold coins. Have fun! This game was also inspired by the contemporary classic, 'Slither.io'. Control your worm around the game screen in this multiplayer game! Eat as many sweets and cakes as you can in order to grow bigger and bigger. Feed on smaller players too, but dodge the ones that are bigger than yourself! Have fun with users from all over the world! 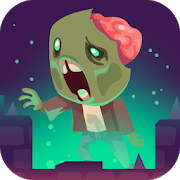 Tap screen to jump, get the high score, and be careful, zombie will come! Enjoy this sequel! Enter a strange world of dreams where you'll need to look for an exit in as little time as possible. Collect the triangle items you find to get back home safe and sound. Drive this red car and put your steering skills to test! Complete the missions you're assigned, unlock achievements and new maps. Get ready to dodge the obstacles and speed up! Your goal is cross the dangerous roads and get the best score possible. How many laps you can do in the box without hit a spike? You and your friend were bored in school during a math lesson. You borrowed him your notebook and he sketched out few funny obstacle courses for a small cube. He told you to pick up a cube and try to go through the whole set of tracks. Accept the challenge, and control the black cube, jump over all obstacles and spikes, collect all stars, and try to reach portal to the next level. Can you complete all levels of increasing difficulty? Have fun. Gumball & Darwin have to start a new crazy adventure to find their friend Larry. Face all kinds of powerful enemies in turn-based battles! Plan your strategy carefully, dodge their traps and complete the stages in this amazing game. Prevent the cute characters from Happy Tree Friends from having terrible accidents! Dodge sticks that could end up in their eyes, put some sunblock on so that they don't burn and complete many other challenging tests. Have fun! Help Sonic run and jump along colorful worlds full of golden rings! Try not to crash into the obstacles -- they will slow you down. Good luck! In this endless runner you have to help the big Yeti on its way through snow and ice. Collect delicious berries, avoid dangerous obstacles and unlock cool power-ups to earn as many points as possible. How far can you go without being caught? Time to cut some wood! Show off your woodcutting skills by chopping off as many logs from the tree as you can. You have to be quick and avoid approaching branches! Switch your position to avoid danger and continue cutting. Hone your skills and play with several cool characters. Dou you have what it takes to get the golden woodcutter medal? So sharpen your axe swing it as fast as woodpecker! Enjoy this game in the style of Fruit Ninja and slice the ingredients you need to prepare delicious pizza. Beware of the bombs! Pilot a ship through a galaxy full of barriers, dodge and reaches as far as possible. Move the little light ball left or right quickly without falling down between the green blocks. Collect the flashing dots, and try to jump for a long as you can! Try to beat your score! Travel dangerous lands on your war machine! Crush your enemies, run over villages and castles and collect coins while looking for the kidnapped princess. Upgrade your vehicle in order to get even further! New tracks available! Drive all kinds of luxury cars, find treasures and dodge the obstacles. Be careful these cars are really powerful. Enjoy this online version of Spinny Circle, one of those nerve-wracking phone games. Spin the hexagon and try to match the color of its sides to the ball's. Get the highest score! Will you manage to score a goal on this unique field full of obstacles? Choose your team and challenge your rivals in a thrilling match. Good luck! Gameplay is really simple, you need to steer the triangle through the gates, but don't be fooled, it's not as easy as it seems! Sometimes you need to go left, when you thought to the right was quicker. Are you able to score 100 points? Now, that's a challenge! Collect as many coins as you can in Caveman Jumper. Play as much as you want and avoid the spikes. Tap with your finger or mouse. Choose your character amongst a hamburger, a slice of pizza or a piece of sushi! Get ready to rush on the rooftops while collecting coins and doing amazing jumps in order to reach your goal - complete the food delivery! All cats love fish! And these ones are no exception, even though they are professional circus artists. Help the acrobat cats tackle the obstacles and take the fish. Good luck! Make the ball bounce so that it can avoid the gates. Put your reflexes to test! Enjoy a unique gameplay and logical levels with a lot of obstacles and traps. Analyze, act and win. See how far you can fly! Upgrade your plane and fly as far as possible while avoiding bombs, rockets, and other dangers! In this arcade climber you'll control a green booger that must leap from wheel to wheel to stay ahead of the rising water. Good luck, booger! Feed bananas to the monkeys and protect them from the falling coconuts! Are you ready for this? Put your reflexes to test! Flappy Bird's creator, Dong Nguyen, delights us with this new addictive game that is funny and frustrating at the same time. Swing Copters Online is made in HTML5 so can it can be played through your browser and also in your cell phone. How many times will you be able to avoid the obstacles? Do you want to challenge your friends? 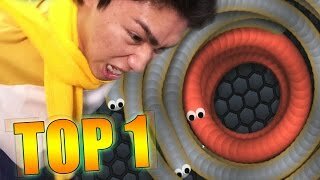 Push your reflexes to the max with the ultimate speed challenge, Don’t Touch The Lava! This exciting, retro enhancement of an addicting Japanese game will have your heart racing as your eyes and fingers move rapidly across the screen. Your scores are recorded to track your improvement and compare with friends! This little vampire has been bullied all his life by his nemesis, Wolfy the werewolf. This time Wolfy took his girlfriend, and Vamp has had enough! Help him climb to the Moon, destroy it and get rid of Wolfy once and for all. Guide Fluffy Bat through the cave, beat highscores and collect all the gems in this addictive one-button game! Help this nice robot beat the 21 stages in this game by dodging spikes, laser beams, bombs and enemies. Do you have the survival skills needed to be a true ninja? Prove it at the Ninja Training School! Santa will try his best to go up and up and up, until he reaches the heaven!. Mouse to Move, Click to Double jump. Grandma has stolen the car once again for a joyride through the neighborhood! Take control of granny's car and feel what it's like to steer a one-ton killing machine with 90-year-old reflexes through the suburban jungle. Run other cars off the road to gain turbo so that you won't be late for that bingo tournament or podiatrist's appointment! Make your way to the very top of the corporate ladder, jumping, dodging and stomping your way past surly co-workers, performing the type of menial tasks that will soon be beneath you. When you get to the top floor, take a moment and breathe a sigh of relief, because there's only one way left to go...down. All the way down. Then it's a matter of brushing yourself back off and doing it again or descending to become the boss of different kind of corporation. The assassins are on their way to find you – be careful, they're everywhere! Equip your most powerful weapons and the heavy artillery, because you have to kill 25 of them, one after the other. Are you up to this challenge? This unique game combines a dash with RPG elements. Prove you're a martial arts master – dodge all kinds of obstacles and attack your enemies. Get as much money as you can and spend on new skills. *** Update *** Unlock the achievements and get Gems! Try to survive in this urban jungle. Bump into cars, but don't get run over! Earn as much as you can and spend on upgrades. Help Jake the woodcutter win this tough competition. You'll have to collect as many gems as you can, but beware of what you pick... Dodge the birds if you don't want to start all over again. Prove your skills! Dodge the colored blocks by entering the first gap you see. Be fast, because doubting means being crushed! After several years sleeping while space traveling, this little astronaut forgot to deactivate the surveillance turrets. Manage to survive and dodge their shots! Exchange batteries for space helmets that will grant you new skills.